Sony is one of the few consumer brands whose products always delight me. Like how it builds external speakers onto a pair of headphones so that you can listen to music even when wearing it around the neck (NWZ-WH505). Or the camera in the shape of a lens barrel that you can clip to a smartphone. The Sony SBH80 is one of these products with radical and unique design. Here’s my review. Spec-wise, SBH80 is just another wireless Bluetooth headset. But check out the design: Sony placed all the electronics and weight on the curved neckband. Extending out from the hard plastic unit are contoured memory metal arms that lightly bends along the sides of the neck. 2 sets of beautifully embossed hardware buttons lay symmetrically on both sides of the headset. The left buttons for music control and the right buttons for volume and call answer. Thinner cables continue out of the in-line controls and end at the 2 earbuds that are small and weighs close to nothing. Sound-wise, it has a consumer-friendly audio characteristics: bright treble, subdued midrange, firm bass. While I could feel the strong kick-bass pumping in my ears, the bass notes are generally weak in sustaining the low registers. The aptX codec really does wonders: when I was listening from a smartphone without aptX codec, I could hear the usual Bluetooth audio distortion. Using an aptX-supported smartphone, the audio is clean as if from a wired source. Noise isolation is effective, as are most in-ear headsets. The SBH80 is perfect for running, as the weight keeps the unit rested around your neck, so the cables do not move at all. The earbuds are so small and light, you won’t feel any discomfort of the headset rocking around the neck. Obviously you can’t do sit ups with it, as the unit would slip to the back. Don’t worry about sweat or water as the unit is splash-proof. The SBH80 is also great for daily use. 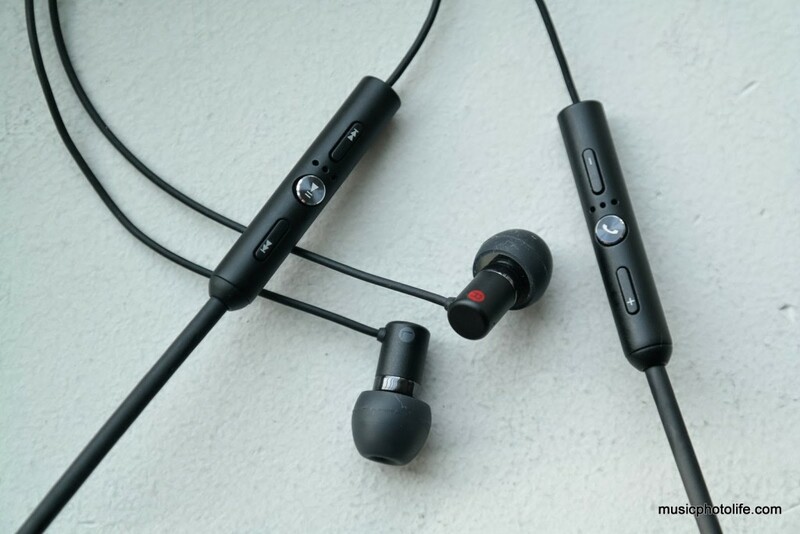 With the main unit at the back, the earbuds remain equally balanced around your neck, unlike other stereo headsets where it tend to slide to one side when you only wear one earbud. 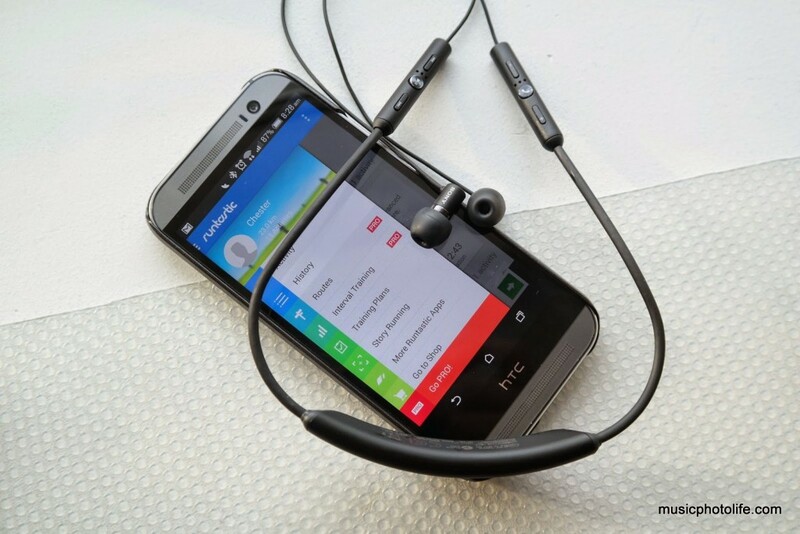 The neckband vibrates when there are incoming calls, so you won’t have to worry about missing calls in noisy environment. The SBH80 supports HD Voice so call quality via StarHub Mobile (which supports HD Voice) is spectacular. I do worry about the fragile cord linking to the earbuds, as there are risks of detachment during the busy commute. I am very impressed with the battery life. During the review period, I left the unit on without turning it off, I answered a few calls, listened about 3 hours of music, and it lasted 4 days. I do find the lack of voice prompts a little frustrating, as I sometimes do not know whether the unit is on or off. Then I read from the manual that to check the battery level, press the power button once and the LED will blink. So if the unit is off, the unit LED will not light up when power button is pressed once. Another minor drawback is on storing the headset. Unlike other conventional headsets, you cannot roll the SBH80 into a compact unit. 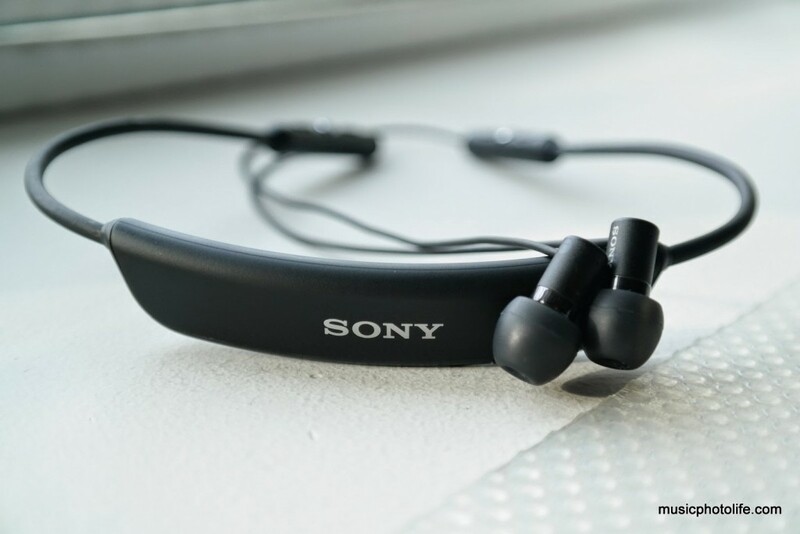 The Sony SBH80 is a uniquely designed headset to achieve maximum comfort for daily wear and workouts. 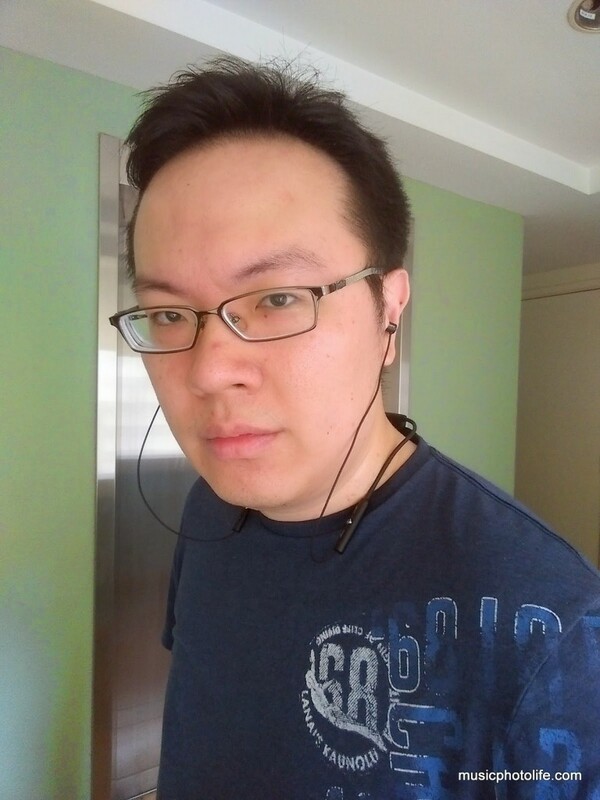 I enjoy wearing it with me whole day as the neckband keeps the unit from sliding off my neck. I like that it vibrates when there are incoming calls, and that I can use either earbud to talk as there are mics on both sides. I like that there are multiple buttons to manage calls and tracks instead of having to use same buttons for multiple actions. I also like the battery life which lasts me almost a week without charge. Audio quality should please most consumers though the bass is not as big and warm as some might prefer. The Sony SBH80 is retailing in Singapore for S$158, available at Sony Style, Sony Centres, most good audio and electronics stores. Available in black and white. Update 19 Sep 2015: You may also like the SBH70, which has similar design style, sounds equally brilliant, with open-canal buds to alleviate the ear pressure that some people do not like. This article was originally published on 20 Jul 2014.